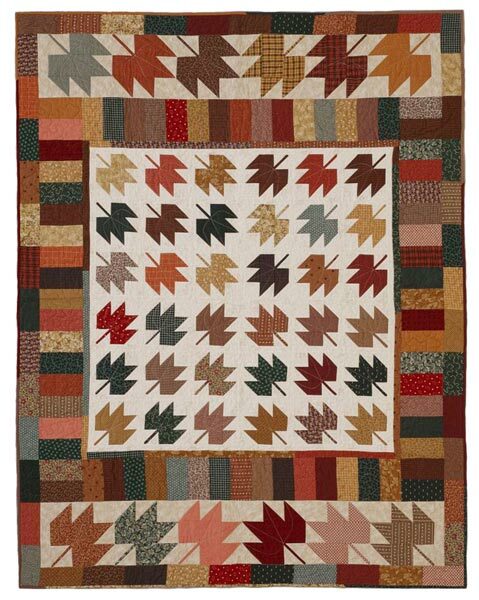 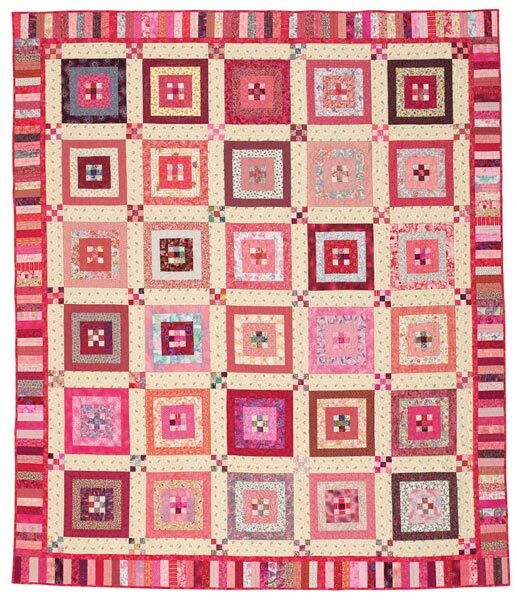 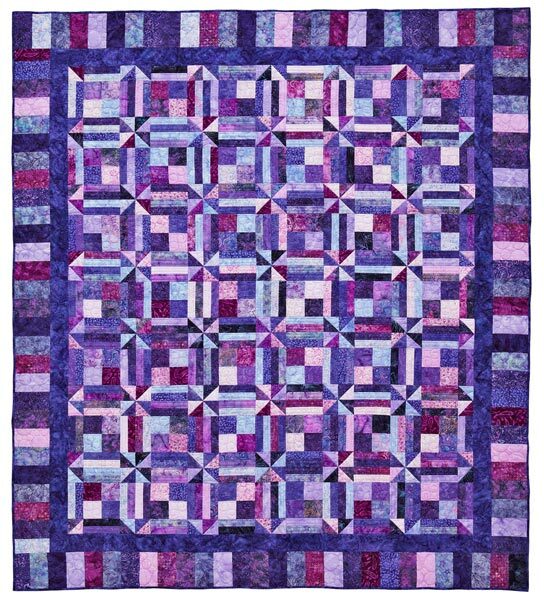 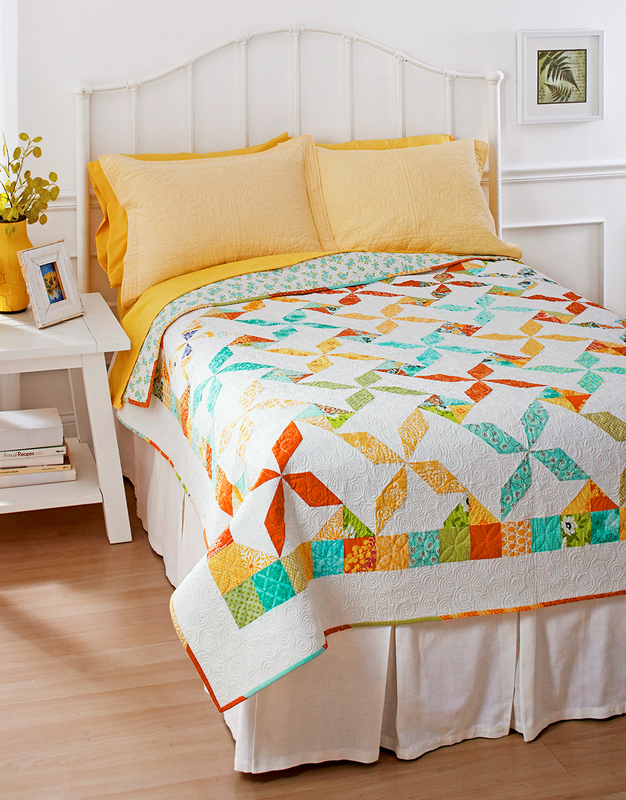 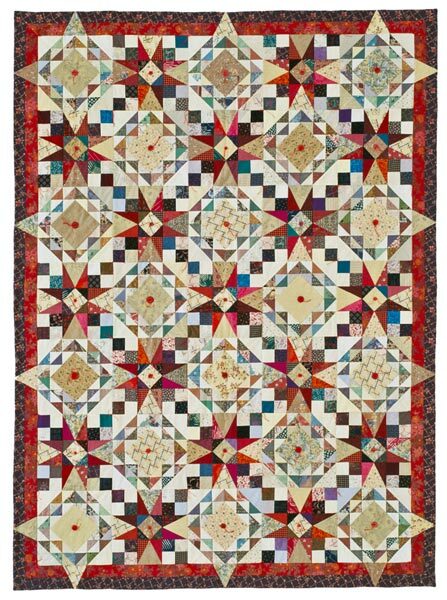 Like gusts of wind, swirl quilting spins bright pinwheels across a crisp white quilt top. 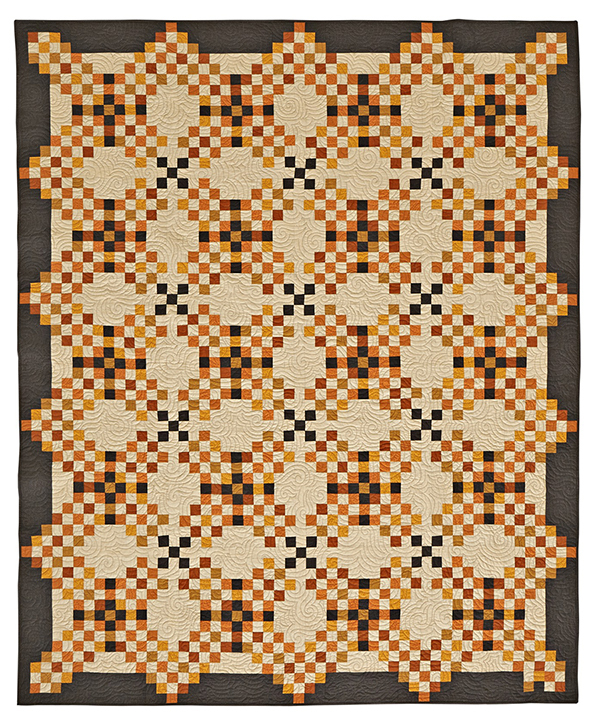 Finished quilt: 75-1/2x87-1/2". 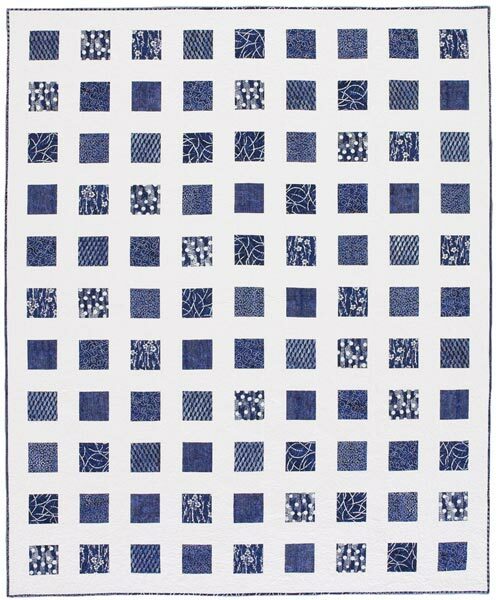 Finished block: 12" square. 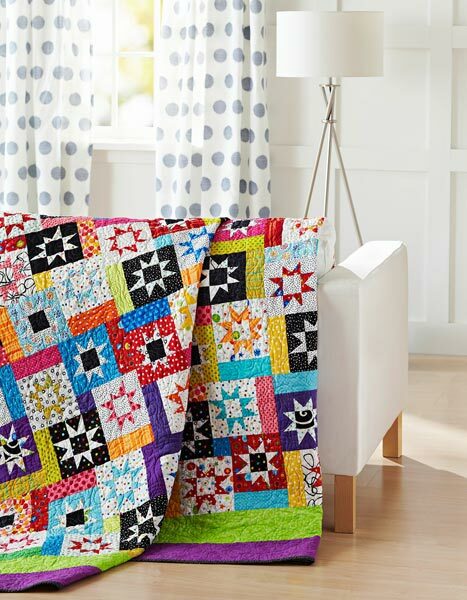 Designer: Sherri McConnell.